In this article, I am going to walk you through how to calculate a dose of CBD for your kitty. 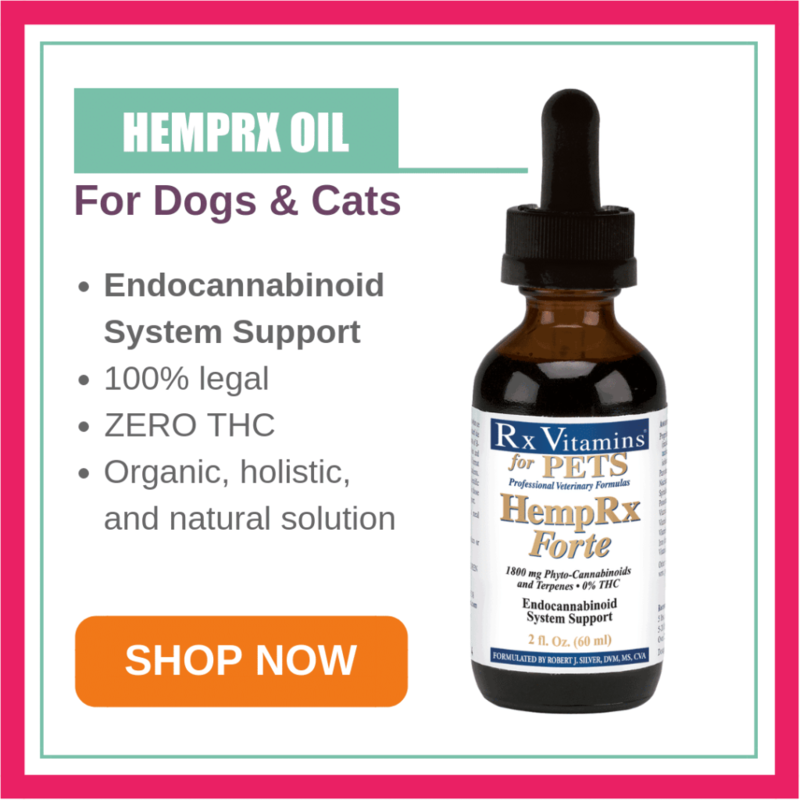 My favorite CBD product is HempRx by Rx Vitamins for Pets. For kitties, I recommend starting with the HempRx Soft Chewz or the HempRx oil. 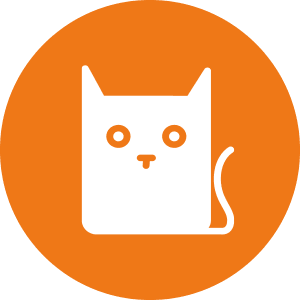 If you have multiple kitties, I recommend using the HempRx Forte to save money. This version is twice as concentrated with over twice the volume. Products with high levels of CBD are expensive. For this reason, it is most economical to find the smallest dose that is effective for your kitty. There are no industry wide established doses for cats currently. As the cannabis market expands, more resources will be dedicated to research in optimal dosing for cats. I start with 0.2 mg/kg twice daily and work up to 0.5 mg/kg or higher twice daily. For the average 10 lb cat, this is 1 mg twice daily, working up to 2 mg twice daily. If you are using HempRx Soft Chewz, there are 1 mg in each chew. So, I recommend starting with one chew twice daily and increase to two chews twice daily. If you are using HempRx, 1 mg equals 2 drops. I recommend starting with 2 drops twice daily and increase to 4 drops twice daily. If you are using HempRx Forte, 1 mg equals 1 drop. The starting dose would be 1 drop twice daily, increasing to 2 drops twice daily. I recommend staying at the starting dose for 2-3 days to ensure that your kitty tolerates CBD and the ingredients in the soft chew. It is safe to increase the dose past 0.5 mg/kg twice daily. Often for severe pain, seizures or severe inflammatory disease, I increase to 2-3 mg/kg twice daily. For reference, both of my kitties are on 2 mg/kg or more twice daily. I definitely have the HempRx Forte in my fridge! If your kitty tolerates CBD, the only downsides to a higher dose, is a higher cost. Step 1: Convert your kitty’s weight from pounds (lbs) to kilograms (kg). You can do this by dividing the weight in pounds by 2.2. Let’s start with an 11 lb kitty. Step 2: Multiply the number of milligrams (mg) in the dose by the number of kilograms (kg). If the dose is 0.2 mg/kg, you would multiply 5 kg x 0.2 mg to get 1 mg. Step 3: Use the concentration of the CBD product you are using to calculate the volume of oil you should administer. Depending on the product you are using, this is easier said than done. If you are using HempRx or HempRx Forte, it’s REALLY simple! HempRx has 0.5 mg per drop. HempRx Forte has 1 mg per drop. For example if you need to give your kitty 3 mg of CBD twice daily. You could use 6 drops of the HempRx or 3 drops of the HempRx Forte twice daily. If you are using another product, you need to know how many milligrams (mg) of CBD is in each milliliter (mL) of oil. Unfortunately there are a few companies that refuse to disclose this information. It is impossible to know if the dose you are using is therapeutic. For this reason, I don’t recommend these products. Once you know how many milligrams of CBD are in each milliliter (ml) you can calculate the dose volume. For example, HempRx has 15 mg of CBD per milliliter (mL) of oil. If I have calculated my dose to 4 mg of CBD twice daily, I simply divide 4 by 15 to get the number of milliliters of oil I need to give my kitty. Dosing past one tenth of a milliliter is difficult. Don’t do it! I would round 0.266 mls to 0.3 mls. For this volume, you could use a 1 milliliter syringe and draw back to 0.3 mL mark. If you prefer to use the dropper in the bottle, you could estimate a third of the dropper. This assumes the dropper holds 1 mL of liquid. For reference 1 milliliter (mL) is equal to a cc. Is your head spinning with numbers and units of measurements yet? Feel free to post questions in the comments below! Hi, what symptoms would denote a dose too high or a dose too low? Our dosing chart here has a low dose and a high dose for weight ranges. It’s never a bad idea to start with a low dose, to see how your pet tolerates CBD. Then, slowly increase to a larger dose if needed (to find the dose that gives your pet the best response). Thanks —not quite, specifically, what behaviors or symptoms would indicate an over dose? Since the HempRx has less than 0.03% THC, pets fortunately will not experience a “high”. However, like all supplements, there is a potential for GI distress (like vomiting or diarrhea). We don’t often see this, but it’s good to start on the low end in the beginning to see how your pet tolerates it. The one bit of information that is missing from the discussion is the percentage of CBD in the product being used. All things equal (like purity, amount of terpenes, organic, etc.) some products for Pets are 10% CBD, some are 17% CBD, and even higher. I would appreciate some information regarding this because the dosage of a 10% product will be half as effective as one that is 17% or 24%. I don’t know if my vet is allowed to discuss CBDs for my cat. Teben is 14 years old and has stage 4 renal disease. She is not eating well and I’d like to know if CBDs are recommended for feline renal disease. I’m so sorry that Teben was diagnosed with kidney disease. CBD can absolutely help with some of the symptoms associated with kidney disease, and is a great appetite stimulant. For kitties, we usually recommend HempRx. 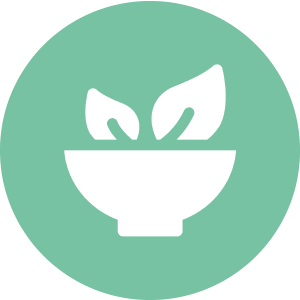 I’m not sure if you’ve seen Dr. Angie’s blog discussing Holistic Treatment of Chronic Kidney disease, but you can find it here. I hope this helps! Keep us posted! My 14 year old cat has stage 4 renal disease and is not eating well. Would CBDs be appropriate appetite stimulant? I’m so sorry your kitty isn’t eating well. CBD can absolutely help as an appetite stimulant! For kitties, we recommend HempRx. Thank you for your comment. Glad you found this information helpful.